Your nose is a key feature in your facial appearance, and if you are unhappy with its shape or size, it may be worth considering rhinoplasty. 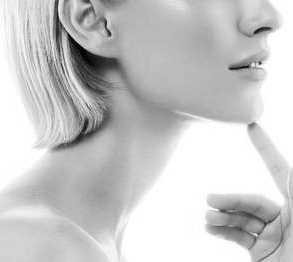 Often, the nose plays a central role in defining how you look and affecting the general attractiveness of your face although ideal proportions will vary between men and women. HOW CAN I CHANGE MY NOSE USING SURGERY? The procedure you will need to alter your nose will be a rhinoplasty, more commonly referred to as a ‘nose job’. This surgical treatment can consist of a number of different rhinoplasty techniques; however the goal of all nose reshaping operations is to produce a nose of optimal size and shape in relation to the rest of your face, so that your nose suits you and looks natural with your facial features. A thorough consultation will be vital in establishing exactly what will meet your needs. The exact requirements and type of procedure will vary greatly between individuals, so each of your options will be presented by Mr Hanson surgeon after a careful examination and a detailed discussion. Requiring an overnight stay, this operation is performed using general anaesthetic. After the procedure, you will need to wear a nasal splint for between seven to 10 days and you should also expect some swelling, although this will usually settle over several weeks. The most obvious swelling does dwindle relatively quickly but it can take a few months for all of the swelling to abate completely, especially around the tip of the nose. Your final result should be fully apparent after several months recovery.